FLAMENCO AND REBETIKO’s lead instruments have been the guitarra and bouzouki respectively: the sound of these two instruments has become an absolutely necessary condition – sine qua non, as they say – for the two genres in their interpretation. Yet, the guitar and bouzouki may be evaluated as rather unsuitable for such musical idioms. 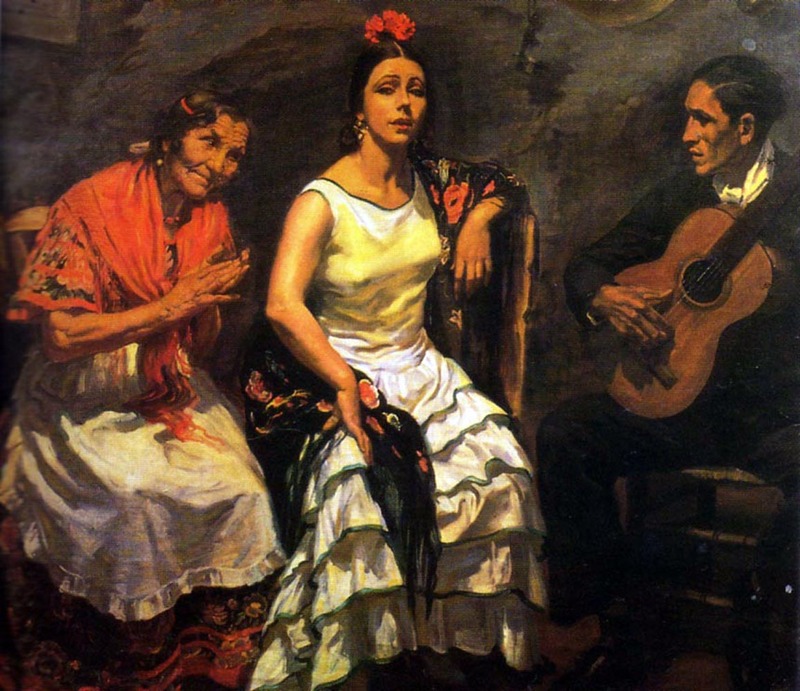 Rebetiko and flamenco: modal music genres accompanied by tempered instruments. In terms of melodic themes, rebetiko and flamenco come under the category of modal music: that is, each song is based not on a simple musical scale but rather on a mode (“harmony” or “echos”) with its own character, mood and ethos, and with a variety of intervals that greatly outnumber the tempered-equal intervals of Western European music. In the accompaniment, however, both genres are dominated by the Occidental concept of chords and melodic phrases played on tempered instruments: the frets on the bouzouki and guitar’s necks are placed according to these equal intervals, allowing the performance of just the notes of the piano. This contradiction, undoubtedly, creates various problems, imposes restrictions – but at the same time imparts a raw beauty to music when it’s been cultivated at the crossroads of distinct cultural areas. It’s as if the interpreters act like rope-dancers balancing themselves between two worlds. The development of the guitar in its final phase, from the Renaissance onwards (as we have seen in Voyage 4b), ran parallel to the development of Occidental music, with polyphony, counterpoint and all its other special features. Thus, the relationship between instrument and music has been harmonious. The bouzouki, on the contrary, as a newcomer in this field, has suffered from split personality. Even if it cannot be played with the classical guitar techniques that have crept into flamenco, it has also gradually moved willy-nilly on the westernizing way of rebetiko, as major and minor scales have substituted the several modes. Radical changes in the orientation of a musical genre are clearly reflected on its instruments. Although Music never reveals her face, the transformations of an instrument are clearly visible to the naked eye. Thus, we’ve seen the bouzouki undergoing a mutation and turning from a three-string (tri-chordon) into a four-string and electric instrument, while at the same time its tuning has changed, adopting that of the guitar just to facilitate virtuosities. This four-double-string… “guitarized” bouzouki was introduced by the superstar Manoles Chiotes (who was originally a guitarist), although it was not his own invention. Note that these developments occurred while rebetiko was on its deathbed. (a) Considering the fixed frets and their tempered intervals, the only way to approach the original sound of old rebetiko, i.e. the sound of modal music, is to use several tunings called düzenia,* depending on the mode. The only bouzouki player I’ve listened using such tunings “live” (not in some special event or during a musicological program) has been another… guitarist, Demetris Mystakides. Thus while the rest of his program favoured vocal duets, the düzenia required ison (drone) – meaning that he moved away from Occidental-style “harmony” towards Oriental echos and ethos. * Düzen: tuning, harmony (in Turkish). There is, however, a type of bouzouki still in use that has remained true to its origins and is proud to be a brother of the tanbur. It is the Arabic bouzouki, the buzuq or busoq, played in the area of ancient Phoenicia: in Lebanon and the surrounding area. The country of the cedars is where the great modern virtuoso of the instrument has emerged: the gypsy-born Matar Muhammad,(b) who might turn even the “four-string” Chiotes… pale, despite the admiration he’d won from the great Jimi Hendrix! 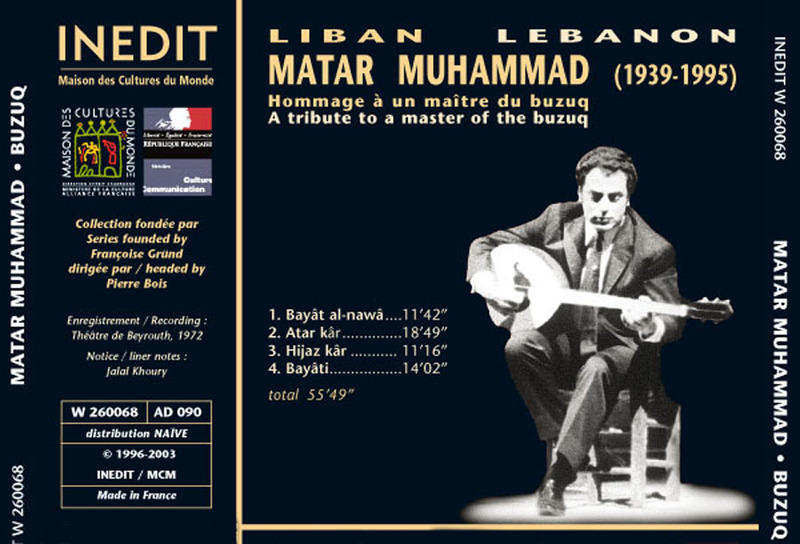 (b) Note that Matar’s repertoire featured the Greek spongers’ song Dirlada. The song was included in The Fool’s Garden album (1969) by Dionyses Sabbopoulos – who was taken to court in 1973 for its credits. Despite the rebetiko composer Iannes Papaiohannou’s testimony that he’d known the song for years as traditional, despite the fact that by 1970 it was already an international hit recorded by Dalida in French and Italian as Darla dirladada, the court ruled that next to the song title on The Fool’s Garden cover and disc, a phrase should be written (in parenthesis): “Adapted by Sabbopoulos; composed by P. Gines or traditional”… You could take your pick! Dirlada was also recorded in Hebrew, Serbian, Finnish and other languages. Other interpreters in Greek included Domna Samiou, Nikos Xylouris, and Marinella. ● How identical the papal words were to Adolf Hitler’s: “We are overpopulated and cannot feed ourselves from our own resources”, he shouted. Germany has “a tightly packed racial core”, and thus the Germans are entitled to “greater Lebensraum than in the case of other peoples.” As for Urban’s “wicked race”, the Nazis interpreted it as referring mainly to the Eastern European Slav population… There was, therefore, a long history of equivalent mentality between the Holy See and fascism; it wasn’t just a case of… love at first sight! * I know people who ordered “some little baglamá” from Constantinople… You can imagine, of course, their astonishment when they finally saw what they had bought! “In recent years there has been much talk in various music high schools, educational institutions, schools of music and so-called conservatoires about an instrument that is mentioned in Greek history, called tambourás. The instrument has not survived to this day. There has been no ongoing tradition since ancient times that, as they say, the tambourás originates. We can find old Byzantine theoreticians’ descriptions, folkloric descriptions, or references in books, we know more or less how it was tuned, what its form was; but we have never listened to it live. ● “Tríchordon: a three-string instrument of the lute family, also known as pandura, pandurís or pánduros. It was probably the only instrument with a neck used by the Hellenes. In the Hellenistic times the term pandura was used to refer to a whole family of similar instruments played with a plectrum. Sachs says: ‘it had a long arm…, small body, frets, and three strings’. According to Pollux: ‘tríchordon, which the Assyrians called pandura; for it was their own invention’. We are told by Pythagoras that ‘the pandura was made by the Red Sea Troglodytae with white laurel that grows by the sea’. Nicomachus writes in his Manual that the monochord was called phánduros. Hesychius uses the word pandurís for the instrument and the term pánduros for the performer; pandúrion[, he claims, is] a diminutive of the word pandura. But Photius says: ‘pandúrion, namely a Lydian instrument played with the fingers without a plectrum’. 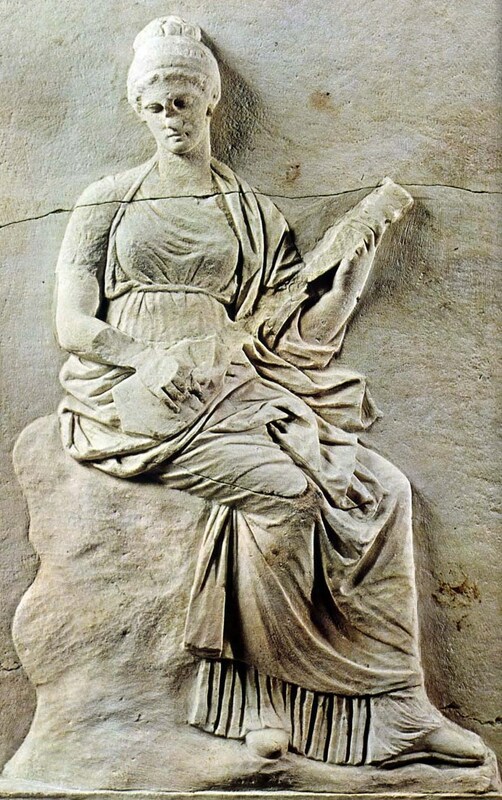 In his Dictionary Zonaras notes: ‘pandúrion… a kind of guitar’.” (Solon Michaelides, Encyclopedia of Ancient Greek Music). “There is an instrument played today in Turkey that is considered closely related to the tambourás: it’s the saz. Some say it is one and the same instrument. First of all, it is not – and anyone can see that by a simple comparison of the two instruments. Besides, the style, the music an instrument plays, its construction – everything – are all in one. You cannot separate one thing from the other. “What we have now as a result is a whole army of young people who have learned how to play the saz in recent years not through some kind of training or tradition, but completely self-taught and offhand. They present themselves as tambourás masters though it’s obvious they have not the slightest idea. The people here know nothing about the saz, tambur, ney, not even the oud, although the Greeks have participated in the development of Anatolian culture. There have been numerous excellent Greek oud players; the best example may have been Yorgo Bacanós [Badjanós], the leading oud player in Istanbul in the mid-20th century: every Turkish oud player now drinks water to him. But, unfortunately, this tradition did not take root in Greece, and there was no follow-up. “After this tradition had died out for some decades, with the revival of rebetiko in the early 70s, and even more around the 80s when the people became interested in the Smyrnaic style,(d) every bouzouki player bought an oud, as well; and started tinkering with it as if playing a bouzouki. This is one thing; another thing is to be initiated in the living tradition of this instrument in Turkey or Arabia where the oud is played now. 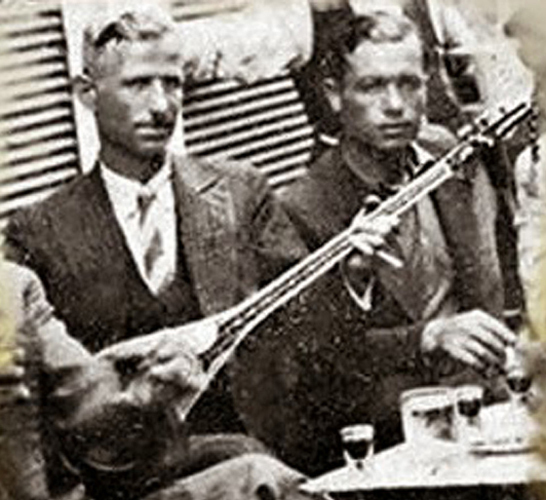 (d) Smyrnaic (from Smyrna) and Piraeotic (from Piraeus): the two main styles of rebetiko. “I cannot consider all these bouzouki players that were suddenly interested in the oud as successors of the tradition carried over by Bacanós, Agapios Tomboules, Lambros [Leontarides], the lyra player, or Lambros [Sabbaides], the qanun player. All these musicians carried a living tradition but, unfortunately, while they were alive, no one was interested in it; that’s why they left no successors. (e) I claim that the Ashik tradition has been Anatolian, not Turkish (Central Asian). 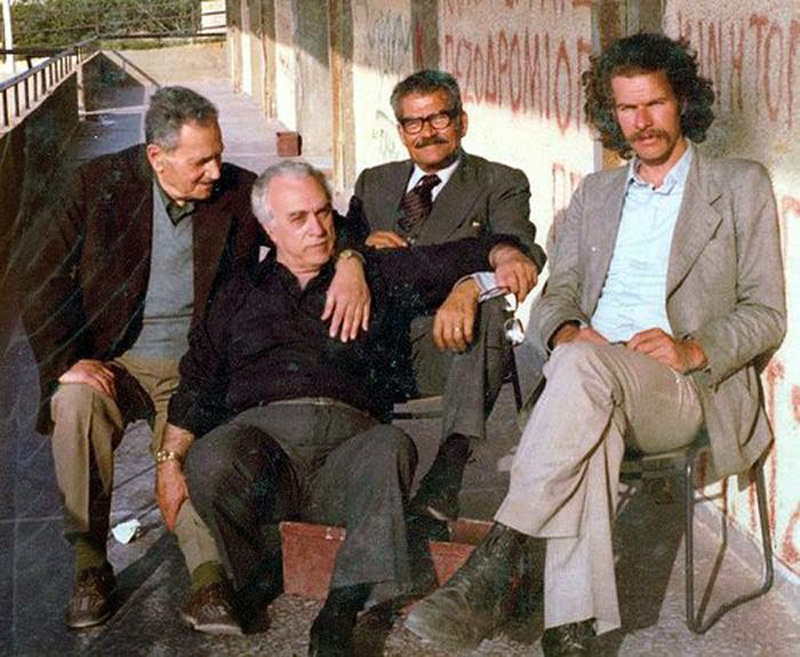 During the International Musicological Symposium at Delphi in 1988 e.g. Reinhold Schlötterer analyzed the structure of Âşik Veysel’s song Black Earth. 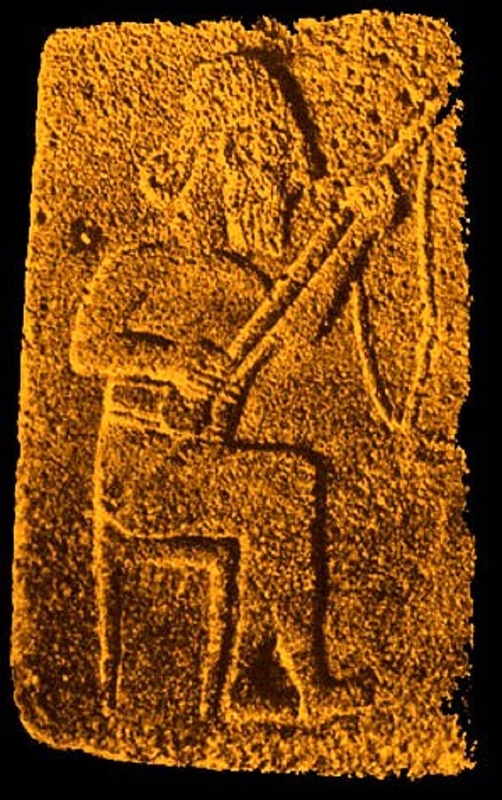 Speaking in Greek (as German was not included in the conference languages), he pointed out that this melody corresponds to the ancient Hellenic musical system. He hastened, however, to add that we should not draw arbitrary conclusions claiming that the Anatolian music was actually dependent on ancient Greek culture. Besides, he concluded, Hellenic music had received antecedent idioms from Asia Minor. As we can see, Schlötterer compared ancient Greek and Anatolian cultures. He didn’t even think of taking into account in his analysis some Central Asian culture! We tend to forget this fact as we are under the false impression that the erudite Constantinopolitan tradition’s origin, on the one hand, has been Arabo-Persian (and Byzantine, of course, but we also forget!) and, on the other hand, that the Anatolian folk music is “purely Turkish”… Would you expect anything else? It’s more than obvious that these advocates of “purity” – in sound and also race – are a global phenomenon. If in this case the “purists” are Turks, OK (so to speak). But what if they are foreigners? 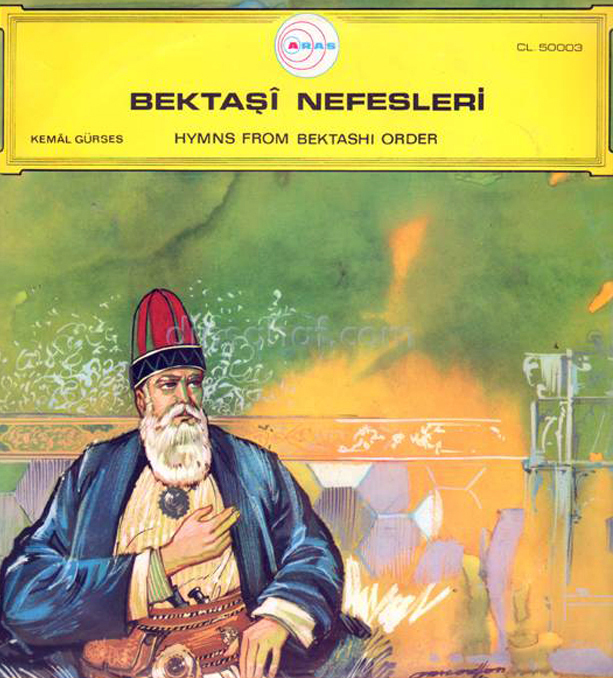 “At the court of the Ottoman sultans”, said Alain Gheerbrant, who recorded and released songs by Âşık Veysel, “the official arts were so encumbered by flowery Arabo-Persian art poetry as to become less and less understandable to the common people. At the same time, the ashiks, often illiterate itinerant folk poets, maintained a tradition of poetry in song on Turkish soil. Since the 12th century, their poetry, worded in rigorous language and free of foreign influences, could be heard from the shores of the Mediterranean as far away as China. “The Ottoman Empire disappeared; the popular tradition did not. Although there may no longer be any ashiks in Khorasan, they are still present in Anatolia. Âşık Veysel was not only the most brilliant of them all, he was also one of the greatest contemporary poets of the Turkish language. 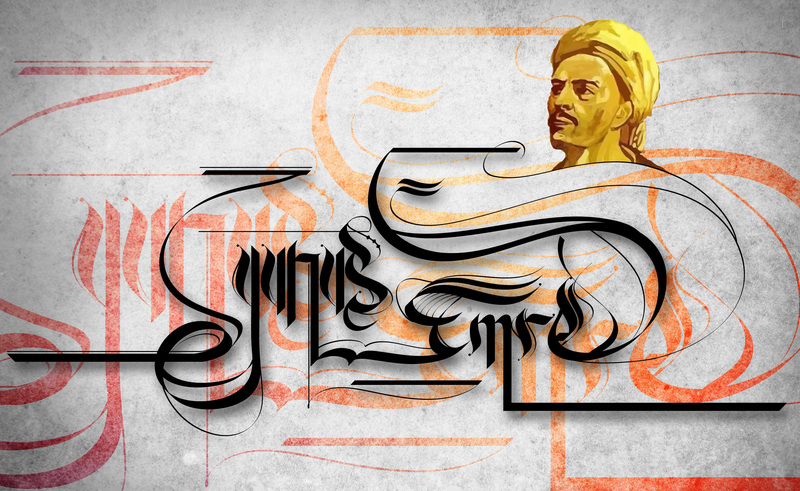 The tradition from which he drew his inspiration dates from the great semi-legendary figures of yesteryear, such as Yunus Emre (13th century) and Pir Sultan [who was martyred and hanged for his beliefs] or Kaygusuz Abdal (16th century). His work shall remain, alongside that of his predecessors, in the collective memory of the rural peoples of Anatolia. “His influence is also plain to see elsewhere, for the ‘Kemalist’ revolution has placed Turkey on the road to recovering its identity. A reconciliation was needed for that to take place: for the literate to abnegate their caste, set apart by jealousy, and recognize and hear the illiterate élites. Today’s Turkey has reached that understanding: one needs only to open a novel by Yaşar Kemal or view a few scenes from a Yilmaz Güney film to understand that Âşık Veysel, the aged, sightless bard, opened the eyes of all contemporary thinkers and artists, those who have carried the voice of their people beyond their nation’s borders eliminating the barrier of misunderstandings, preconceptions, and platitudes that impede all positive interaction between cultures. What a “flowery” garden… Had we not known Turkey, we would have thought it’s a heavenly land of the angels! Was the French researcher really serious, or did he tell one white lie after the other winking meaningfully at us? After all, why should he mention two prominent Kurds, such as Yaşar Kemal and Yilmaz Güney, who were jailed by the “‘Kemalist’ revolution”? And they were not the only ones. The most important persons of the arts and letters in Turkey have been treated collectively as subversive elements. Let alone how the Sunni state dealt with Alevis and Bektashis. What is the use of such texts, except perhaps to serve diplomacy and personal gain? ● The Alevis, who live… persecuted in Turkey (indiscriminately and at all times: in the Ottoman, Kemalist or Islamist periods), should not be confused with the Alawites in Syria who form a ruling minority. 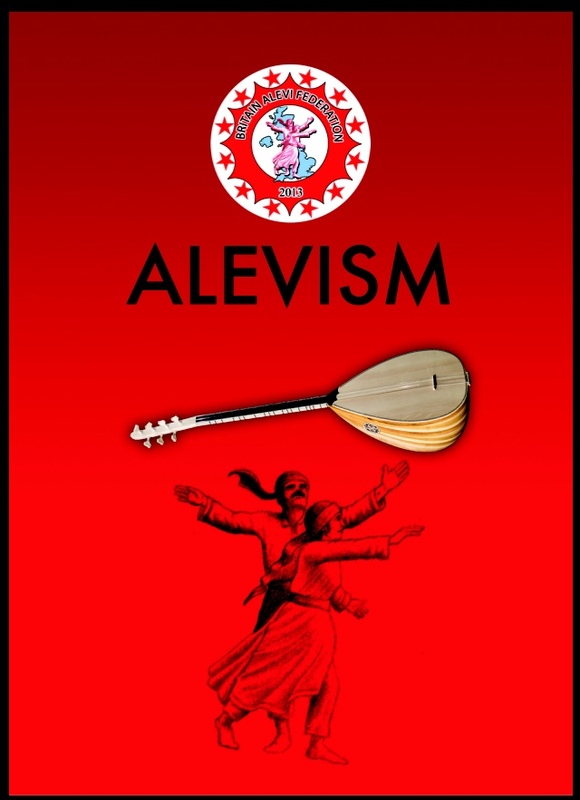 Alevis are grouped together with Shias (Shiites), but their religion, a syncretism of Muslim, Buddhist, Shamanist, Christian beliefs, differs from both main branches of Islam. They usually have their ceremonies in houses rather than mosques, drinking wine, listening to music and dancing: an ashik plays bağlama and sings their didactic spirituals, while men and women dance whirling like Dervishes. Unlike Muslims, whose ceremonies are performed in Arabic, the Alevis use mainly Turkish, or Kurdish, if they are Kurds. At least half the Alevis think they are not Muslims. Sunnis accuse them of “heresy, heterodoxy, rebellion, betrayal, immorality”. Alevis, on the other hand, preaching love and respect for all, tolerance towards other religions and ethnic groups, equality between men and women, and respect for working people, consider Sunnis as “reactionary, bigoted, fanatic, anti-democratic”, opposing free and independent thinking. Alevis now see themselves as an offset to Sunni fundamentalism. Note that 1/4 to 1/3 of the inhabitants of Turkey are Alevis. Native Alevis in Greek Western Thrace are thought to number 3000 people. 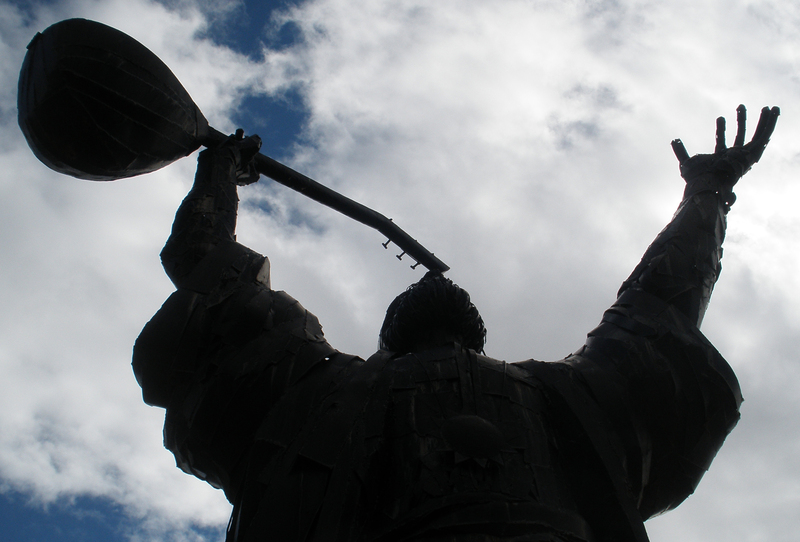 ● Alevism is associated with Bektashism, as both groups honour Haji Bektash Veli (13th century). Bektashis had a strong presence not only in Asia Minor but also in the Balkans, especially in Albania, North Vardar Macedonia (ancient Paeonia), Bulgaria, and Greece, primarily in Epirus, Macedonia, Thrace and Crete. It seems only in Bosnia they failed to take root. Influenced by Sufi mysticism and accused of pantheism, they too share some ideas with Shias, and are not dogmatic. Sultan Mahmud II abolished various orders (Bektashi, Janissaries, etc) in 1826. A century later, in 1925, Mustafa Kemal banned all Dervish Sufi orders and shut down their lodges. Enver Hoxha acted accordingly outlawing religious practice in Albania. Kemal and Hoxha acted on the basis of their ideas and interests. One would surely expect that the rest of the Balkan leaders, except, of course, those who are under Ankara’s aegis, would do the same taking advantage of the Sunni-Bektashi conflict, given that the vast majority of the Balkan Muslims have been Bektashis. Yet, acting stupidly as bigots in power, they too turned against them, handing them over to the Turkish leaders. It’s what we describe as “politicians with foresight”! (f) Personally, I think that the term tambura probably originates from the Assyrian pandura or a similar Hittite word. Therefore, it must be Mesopotamian-Anatolian and not Indo-Iranian. 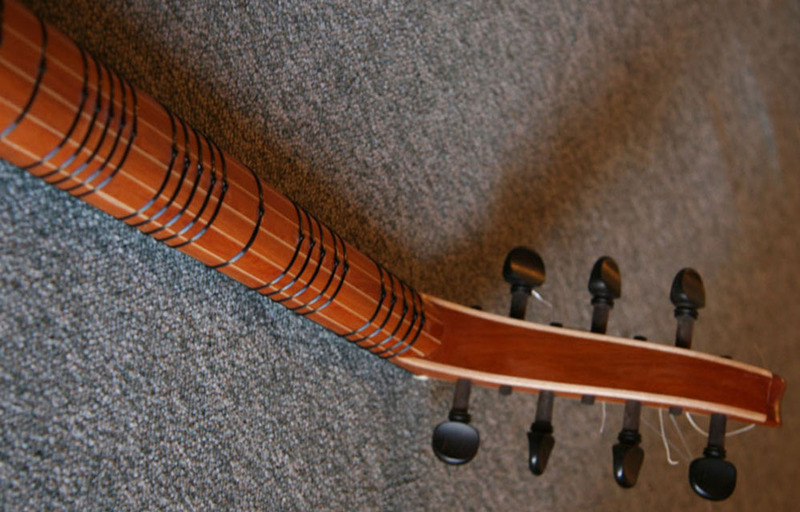 Thus, with the exception of the Kurds, the term tanbur is avoided in Turkey in relation to this long-necked lute because a related but very different instrument, called tambur, is used in the erudite Arabo-Persian music of Constantinople. 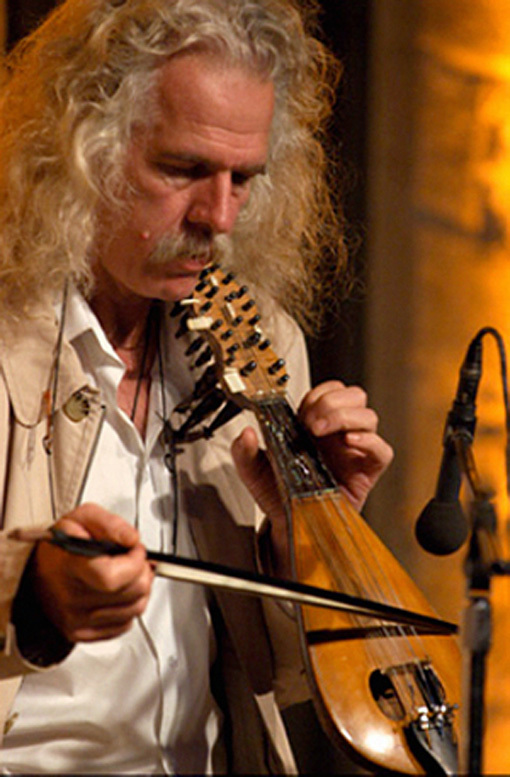 There are two variants of this instrument: plucked (the older version) or bowed (yayli tambur), depending on the way it is played – with a plectrum or a bow. 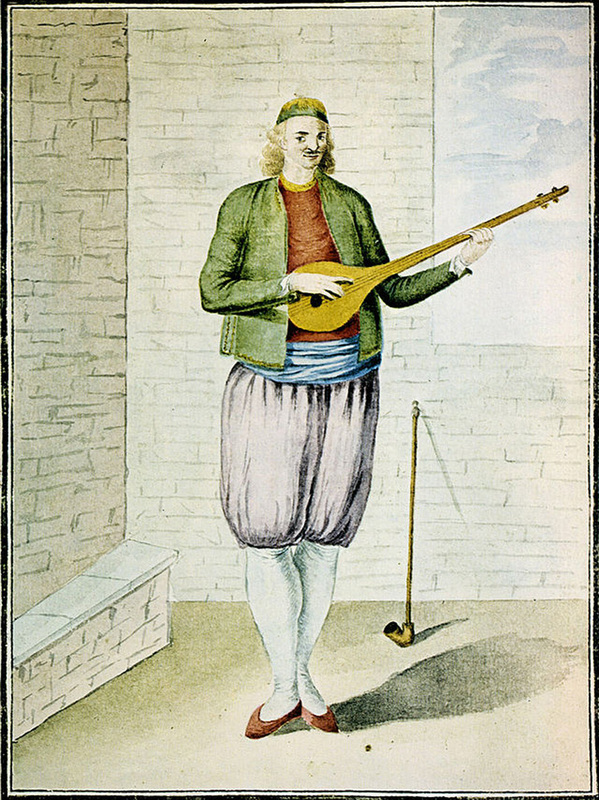 In Greece, of course, the term baglama in relation to the same long-necked lute is also avoided for the same reason, so as not to be confused with that well-known homonymous small instrument, the bouzouki’s little brother. ● Words are boats and their etymology is a map of their voyages together with the peoples using them. On second… searches for bulgarí’s genealogy, my first guess proves to be in a way correct: after all, there is a “Bulgar connection”! The instrument may not originate from Bulgaria but from Anatolia among the Turkomans or Oguzes around the Taurus; it may not be directly linked with similar Balkan lutes, such as the tambura, tamburica or bugarija; but its name derives from the Bulgars, the proto-Bulgarian tribes of the Volga Bulgaria region, with whom the Turkomans-Turkmens had contacts. These Bulgars, on the contrary, had no contacts with the (European, Slavic-speaking) Bulgarians for more than a millennium. 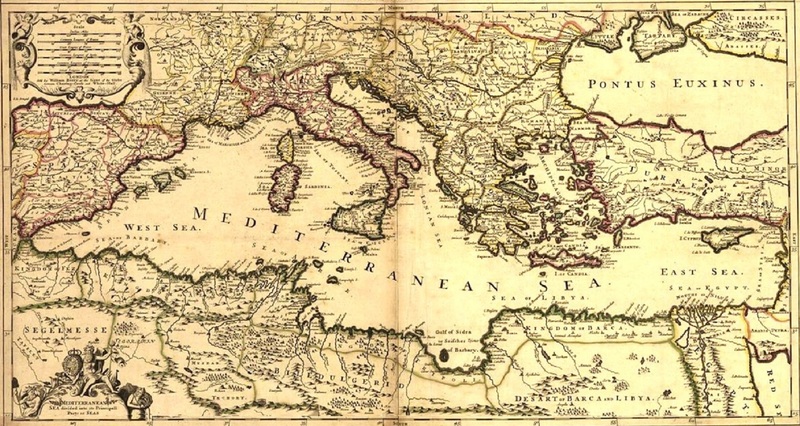 The bulgarí spread in the Mediterranean, especially to Crete and Egypt. 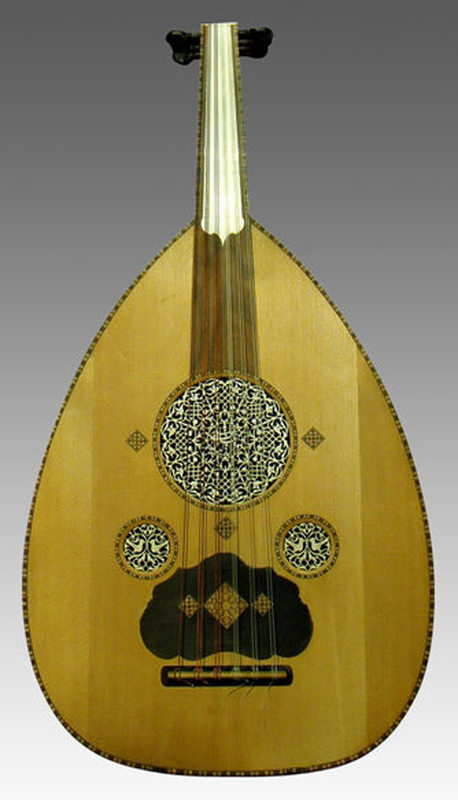 Guillaume André Villoteau, a French musicologist, mentioned in 1807 a tanbour boulghari or guitare de Bulgarie among other instruments of the tanbur family he saw in Cairo: bağlama, sharki, and bozuk (replaced later by the buzuq). The bulgarí was either brought to Crete by Anatolian refugees in the 1920s or, most probably, was already in use at least since the 19th century among both Christian and Muslim populations. Stelios Foustalieris e.g. bought his first bulgarí in 1924 having seen the instrument being played by older musicians. It is still in use mainly as a lead instrument and nor for accompaniment, a role that was gradually taken over by the laouto. The confusion about the names of tanbur-like instruments extended even to their makers: a Cretan luthier of the 20th century e.g., Manoles Malliotis, designated under the names of bulgarí or bağlama a tambourás-type instrument. 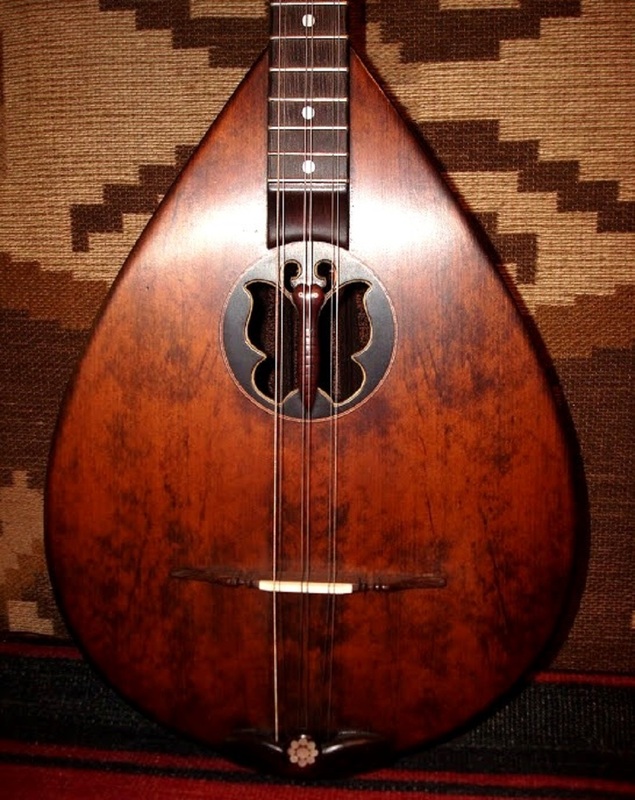 The bulgarí has 16-22 movable frets, but some musicians such as Foustalieris replaced them with fixed frets. It is the main instrument of the tabachaniotika, a style close to rebetiko, supposedly developed by the so-called Muslim-Cretans. 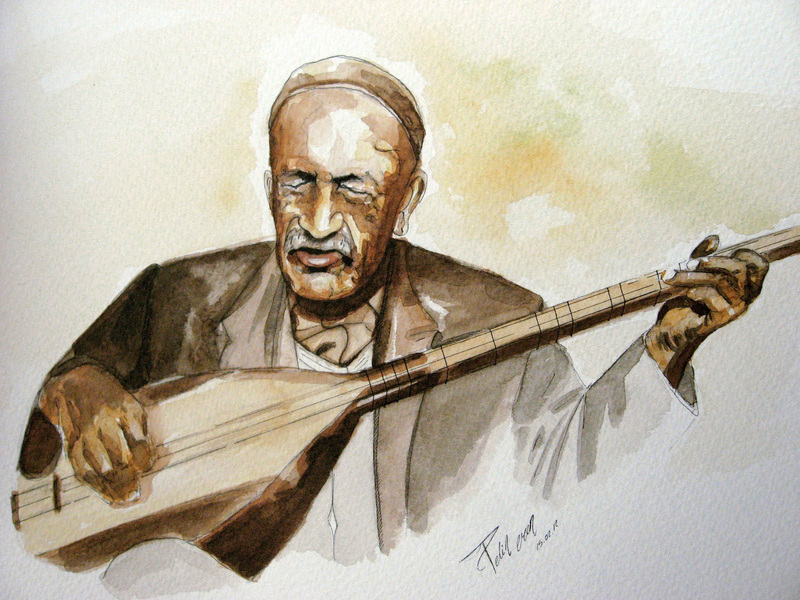 The tabachaniotika are urban folk songs influenced by Anatolian, Syrian or even Andalusian–Maghrebian music. Ross Daly and Pericles Papapetrópoulos are now the bulgarí’s most accomplished performers. 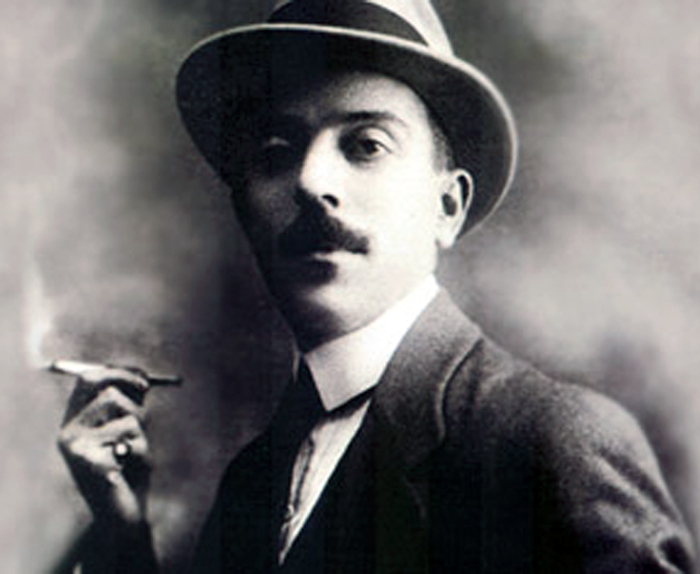 Whatever the case, that “vulgar” bulgarí played by Foustalieris, together with the instruments used by Iannes Eidjirides (or Etseirides), the famous Iovan Tsaous, have been the only kinds of tambourás that Greek discography managed to record. But what a pity! These instruments seem to have little in common with those played by fighters of the Greek War of Independence: the bulgarí is a Cretan peculiarity, while Iovan Tsaous’ instruments have been Anatolian – hence unsuitable in the attempt to restore the Greek tambourás and its sound. (g) Edutainment (edu-cation + enter-tainment) is so weak and pale compared to the Hellenic term ψυχαγωγία (αγωγή ψυχής = soul leading or training, education of the soul) – but what can I do? 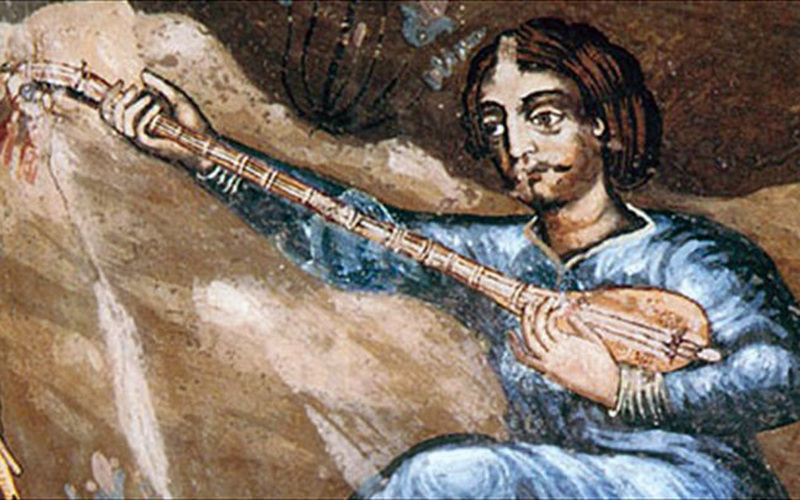 “Arabo-Perso-Turkish music,” the qanun player Nikos Stephanides said, “in earlier times was performed by musicians playing saz, bouzouki and tambourines in folk songs; while serious music was performed by an ensemble called ince saz (fine instruments) consisting of the following: tambur (pandura), psalterium [psaltery] – qanun in Greek, Arabic and Turkish – violin, oud, ney (reed flute). The ensembles had singers called hanendes. They had beautiful voices and played tabors – tambourines – keeping the various rhythms of the melodies being performed. When you are accustomed likewise – playing high-standards music with such partners and in front of such audience – how is it possible to restrict yourself to the role of an entertainer? Iovan Tsaous, therefore, chose to open a… tailor’s shop, which he later turned into an ouzo tavern, playing for his pleasure and not for the entertainment of the patrons of an establishment. Fortunately, he met Panaiotes Tountas, the greatest composer of the Smyrnaic style, and also artistic director of phonographic companies; so he recorded a number of his own songs and some other compositions, mainly by Tountas. These few recordings (about 20 all in all) took place in just two years, 1935-36, because when the Metaxas dictatorship imposed censorship on lyrics and music (and music! ), Iovan Tsaous abandoned the idea to continue, as some others did, as well, such as Vangelis Papázoglou, Giorgos Batis, and Anestis (Artemis) Deliás. (h) The Greeks had their own real (not imaginary) Sgt. “Pepper”. Unfortunately, no one has ever formed a… Lonely Hearts Club Band! In modern Greece, unfortunately, the musicians have had no way out from the stranglehold of the entertainment circuit (clubs, festivals, etc). That is, there has been no parallel “edutainment” circuit on a professional basis. In Andalusia, on the contrary, at least until the 60s, there was such a circuit for flamenco artists. Up to the latest development of the genre into concert and theatrical flamenco,(i) these artists were divided into two major categories: the commercial entertainers worked primarily in tablaos, while the authentic “edutainers” were employed in juergas, the feasts organized by flamenco aficionados. circuit for the musicians: there’s been no parallel “edutainment” circuit. The other tambourás master, Stelios Foustalieris or Foustalierakis, together with his regular partner, the excellent singer Iannes Bernidakis or Baxevanis, belonged to the large batch of musicians and singers who appeared in Rethymno during the interwar period. The instruments accompanying the lyra at that time were the bulgarí and mandolin, according to Lambros Liavas. They were later replaced by the laouto. But Foustalieris managed to turn bulgarí into a solo instrument and worked with two Anatolian musicians playing the oud and santur. They were among those who sought refuge in the island after the catastrophe of ’22. So they should have imparted to him musical elements from the original cradle of his instrument. Unfortunately, there are no recordings from this collaboration. Later he came into direct contact with the sound of the Piraeotic rebetiko. It was in the period of 1933-37, when he lived in Piraeus and also met Batis, Markos, Stratos and many other musicians of rebetiko, as well as Tountas, with whom, of course, he collaborated in discography. But here too the output was meagre: just 24 discs. We wonder if the two tambourás masters, Iovan Tsaous and Foustalieris, finally met; if there was some exchange of knowledge and experience. Having so many acquaintances in common, one would expect that this meeting did happen. But there’s no available information. “Crete, compared perhaps with other parts of Greece, somehow maintains its tradition in a better shape, in the sense that it’s been renewed. But because there have been neither significant studies on music nor recordings, each passing decade brings terrible losses. In the few years that I’m there, I’ve met old musicians who in the meantime have died and with them many archives have been lost. There are very few now left. Stelios Foustalieris, Giorges Gogas, Kostas Mountakis and Ross Daly.